Contemplating putting the washing out. 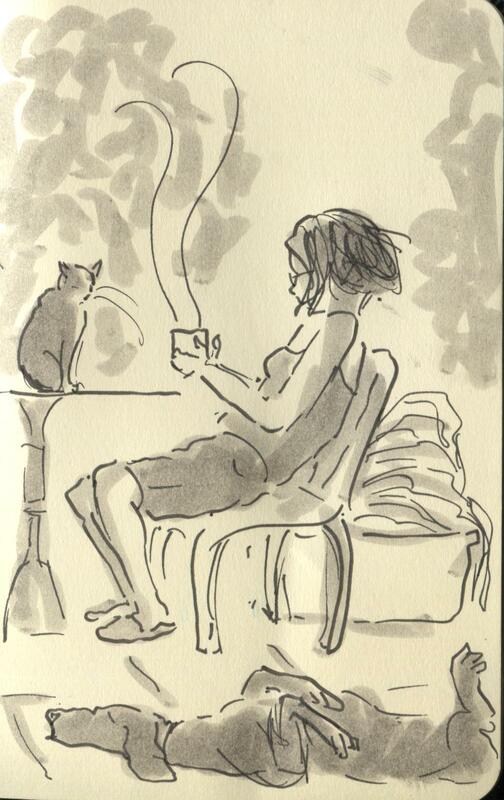 Posted on June 19, 2014, in Uncategorized and tagged cats, Dogs, Doodlemum, Drawing, Family, Figure Drawing, housework, Humour, Illustration, Life, Pen and Ink, Sketchbook. Bookmark the permalink. 10 Comments. Oh, I resemble that remark! Reblogged this on Him + Me + Baby Makes Three. Hanging out the washing is a problem-solving and poetry-creation time for me 😃 But I hate putting it away. Ah good – its not just me …..! At least you’ve washed yours! Mines burst the bank of the washing crate and is threatening to flood the bedroom…. This illustration is very nice :).